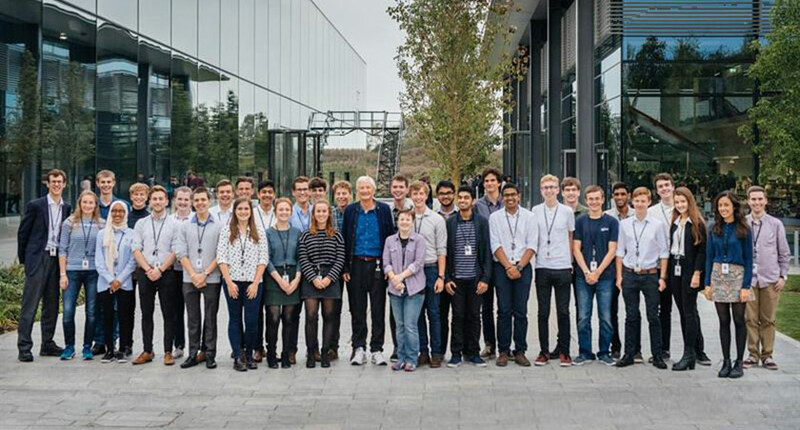 Engineering undergraduates beginning their 4 year degree studies at the Dyson Institute of Engineering and Technology on the Dyson technology campus in Malmesbury, Wiltshire, will benefit from the most sophisticated, hi-tech teaching laboratory and lecture theatre spaces. Childs+Sulzmann Architects were the designers and lead consultants on the scheme, responsible for re-purposing existing laboratories and offices specifically for a new generation of engineers. The challenge was to co-ordinate all the most sophisticated technical requirements to create an inspirational learning environment. The project was delivered in just 8 weeks in time for the arrival of students for the new academic year. Childs+Sulzmann are familiar with the exacting requirements of Dyson having previously delivered a £2.5m conversion of a manufacturing facility to create laboratory space and having worked on other Dyson sites, including listed buildings and conference facilities. “It’s a privilege to bring our experience of educational environments and creative re-use of space to this cutting edge development in engineering education. The client’s response to the new facilities could not have been more positive,” Peter Sulzmann, Director, Childs+Sulzmann Architects.